I cut my base panel and my happy holidays tag with Lawn Fawn Stiched Rectangle dies and used Craftin Desert Divas Stiched in Circles die for my circle, I put the die of the edge of the paper so that I could get a flat side. I stamped my image on the circle and colored it with prismacolor colored pencils, glaze pens and Wink of Stella glitter pens. I also used a white ink pen on the wreath. I used a sentiment from Sweet Stamp Shop Holiday pup set, it fit perfectly in my little rectangle! 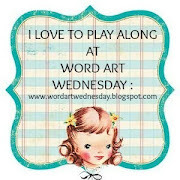 I finished off my card with some Your Next Stamp glittered enamel dots, , , I love them! This card turned out really great and it was pretty simple to do. Wonderfully simple. 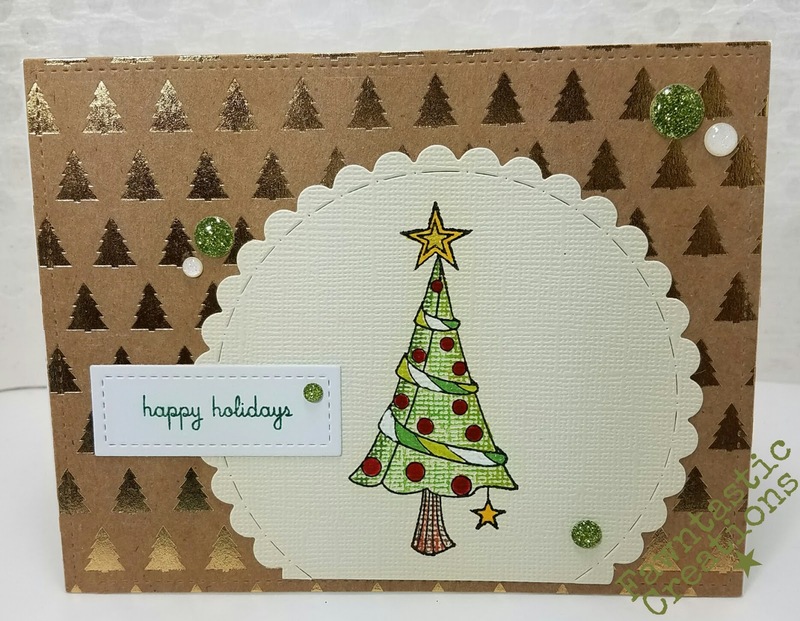 The gold background and textured paper add great detail and interest. 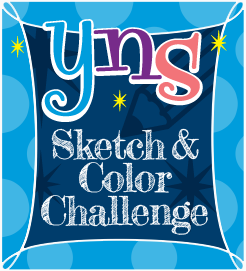 Thanks for joining in the fun at YNS! I absolutely LOVE that tree image!! Beautiful card!! Thanks for joining us at Your Next Stamp!! Very pretty and festive card! 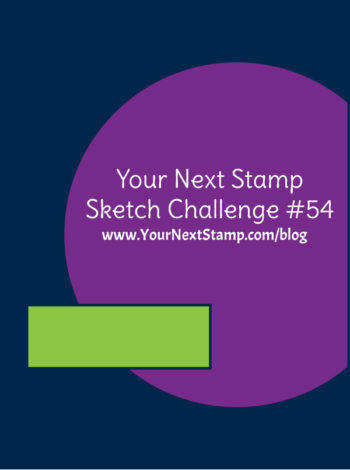 Thanks for joining us at Your Next Stamp! 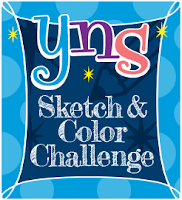 Thanks for join with us at YNS challenge. Good luck and see you on the next challenge.